In our warehouse or store--will get to you in ~2-5 business days. A powerful work of visionary literary fiction from the bestselling author of the Man Booker Prize and National Book Award–nominated modern classic, A Little Life. It is 1950 when Norton Perina, a young doctor, embarks on an expedition to a remote Micronesian island in search of a rumored lost tribe. There he encounters a strange group of forest dwellers who appear to have attained a form of immortality that preserves the body but not the mind. Perina uncovers their secret and returns with it to America, where he soon finds great success. But his discovery has come at a terrible cost, not only for the islanders, but for Perina himself. 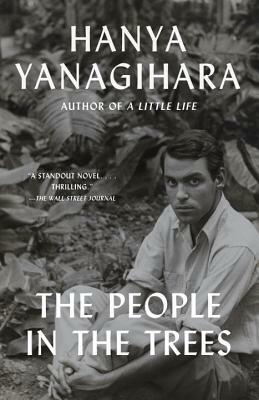 Disquieting yet thrilling, The People in the Trees is an anthropological adventure story with a profound and tragic vision of what happens when cultures collide. Hanya Yanagihara lives in New York.